The future America is an irradiated waste land. On its East Coast, running from Boston to Washington DC, lies Mega City One- a vast, violent metropolis where criminals rule the chaotic streets. The only force of order lies with the urban cops called "Judges" who possess the combined powers of judge, jury and instant executioner. Known and feared throughout the city, Dredd (Karl Urban) is the ultimate Judge, challenged with ridding the city of its latest scourge - a dangerous drug epidemic that has users of "Slo-Mo" experiencing reality at a fraction of its normal speed. 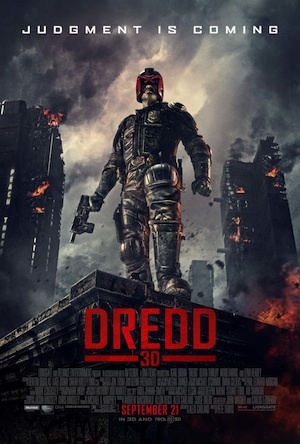 During a routine day on the job, Dredd is assigned to train and evaluate Cassandra Anderson (Olivia Thirlby), a rookie with powerful psychic abilities thanks to a genetic mutation. A heinous crime calls them to a neighborhood where fellow Judges rarely dare to venture- a 200 story vertical slum controlled by prostitute turned drug lord Ma-Ma (Lena Headey) and her ruthless clan. When they capture one of the clan's inner circle, Ma-Ma overtakes the compound's control center and wages a dirty, vicious war against the Judges that proves she will stop at nothing to protect her empire. With the body count climbing and no way out, Dredd and Anderson must confront the odds and engage in the relentless battle for their survival. 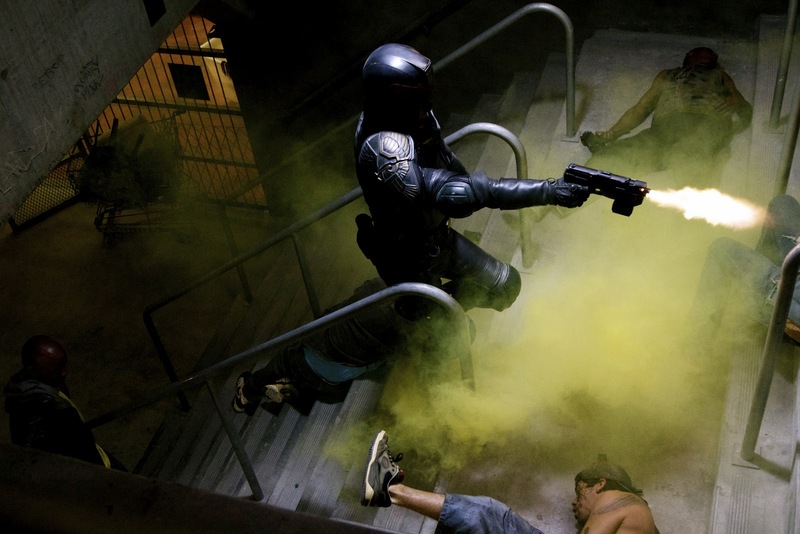 The endlessly inventive mind of writer Alex Garland and director Pete Travis bring DREDD 3D to life as a futuristic neo-noir action film. Filmed in 3D with stunning slow motion photography sequences, the film returns the celebrated character to the dark, visceral incarnation from John Wagner and Carlos Ezquerra's revered comic strip.